September has always been a month that evokes mixed feelings. When I was younger, September meant that it was time for school to start, and time to give up Summer vacation. But September also meant better weather, seeing friends, and playing basketball. 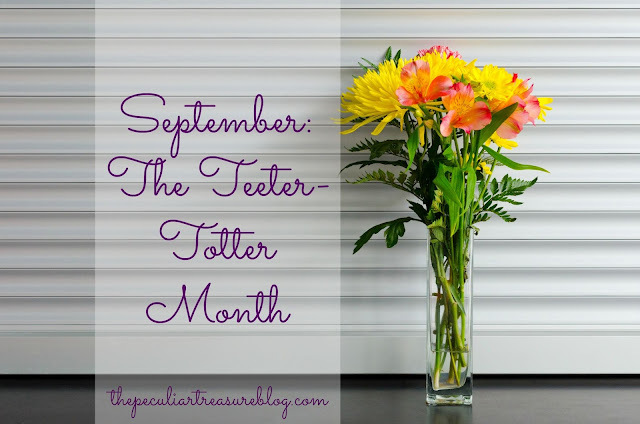 And even now, at 24 years old, September is still a teeter-totter month. Fall is my favorite time of year. It makes me ridiculously happy to breath in the cool air, stare at multicolored trees, and have all-things-pumpkin back in my life. I have an excuse to drink pumpkin coffee, make pumpkin bread, and decorate the house with pumpkins and gourds. But September isn't quite there yet...it isn't fall, yet it stands there tempting me, teasing me, telling me that fall is here, and yet it's still hot, the trees are not yet painted, and no one is selling pumpkin coffee creamer. Darn you, September! But I'll give this frustrating month a little credit- September gives me more time to get ready for October (the best month around). It gives me time to enjoy my fall decor before Christmas decor goes up. It gives me time to plan for Fall festivities like apple-picking, harvest festivals, and birthday parties for both me and Taylor. And even though I am looking forward to October, there is so much to enjoy about each day, each week, and each month, that I have decided to make a list of September goals. 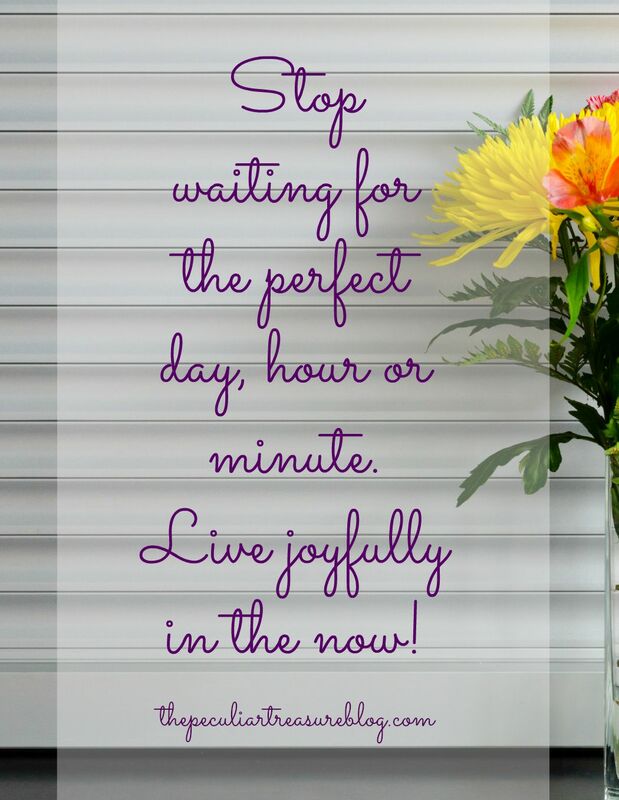 I need to find things to do, enjoy, and plan on for this month, instead of waiting until a better time (month) comes along! My husband loves the Florida Gators. And now that we don't live close to his family and we don't have cable, he has no place and no one to watch his beloved Gators with. Never fear! Super wife is here! I have a few fall-decor pieces that I bought last year. I want to get those up in our living room, along with some pumpkin and apple cider scented candles. I'm swooning at the thought! Over the summer, I absolutely failed at my blogging goals. I could not seem to get on a schedule or get fully motivated, which really held me back. If I can keep myself blogging 4-5 days/ week, I know that my blog will soar a lot higher than it has been recently! There is a park not far from my job that is so pretty. It's got several nice walking paths, a large pond with ducks and geese, and a nature center. We also live fairly close to the White Water Center, which I just found out has paddle-boarding! I want to get out and get active now that it will start to cool off, but I also want to paddle-board before the summer weather is gone completely. I have got to get active, and I need to get outside. For a month over the summer, I organized and ran the Get It Together challenge via Facebook. I had some friends, some family, and a few fellow bloggers participating in the group. One girl lost around 12 pounds in a month, and another lost around 8! I was so proud of what the girls accomplished, and several of them expressed interest in having another challenge soon. I would like to get that organized so that we can have a challenge before the holidays. I want to get better at actually doing the things I set as goals... instead of just making a goal. That does nothing. Do you have any goals for this month? Comment below and tell me about them! Do you have a plan to make sure you accomplish those goals? Let me know! Fall is my favorite season, too! I love it for many of the same reasons. It's also a HUGE birthday time for my family so there was always lots of stuff going on which was lots of fun. I also was weird and always looked forward to going back to school and seeing everyone again! My goals are to post 3-4 times a week and set up a better routine for us. Now that all of our "extra-curricular activities" are going to be picking up with church, I will have a better schedule in mind so I can plan my blogging around that :) I also want to be more intentional with my time! That's something I've been struggling with a lot lately! Aww, blogging 4 times a week!!! Wished I could blog more than once a week. Great post!